Your average 70 kg (154-pound) person has around 15 grams of this substance in their body. Roughly one-third of it breaks down and replenishes daily. This high turnover rate suggests that hyaluronic acid — also called hyaluronan or hyaluronate — is quite important for our well being. But what is this hyaluronic acid? Let’s find out. Hyaluronic acid, when you boil away all the bells and whistles, is a really long polymer molecule. It’s basically a long chain made up of thousands of sugar molecules. It is found throughout the cells in your body but only occurs in high concentrations in certain areas. It also serves a different role in various tissues and cells. For example, hyaluronan acts as a building block for cellular membranes (their ‘walls’). It’s also found in cartilage, especially in those joints at the end of long bones, where it reduces wear and tear on the tissue and serves to absorb shock (in the form of an oil-like ‘synovial liquid’). The acid also lubricates active tissues such as muscle and cartilage. As a rule of thumb, the compound is either used to keep tissues running or to give them resilience and flexibility. It has an important part to play in skin health, wound healing, cell mobility, building tissues that insulate other tissues, and keeping the fluids in your eyes gooey. The vitreous humor inside your eyeballs is almost completely made up of hyaluronic acid. Hyaluronic acid is extremely hydrophilic (it absorbs water), and it’s this property that allows it to function as a lubricant in our bodies. It can absorb up to 1000 times its weight in water. All that water it holds also makes it an excellent moisturizer. 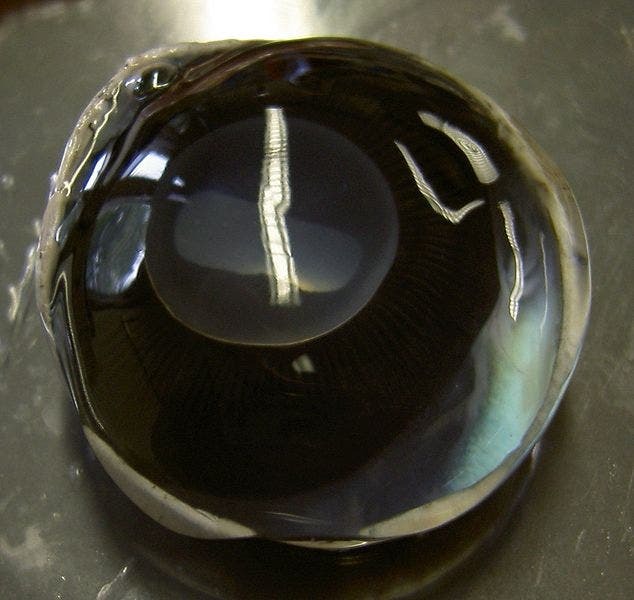 Anterior view of a dissected calf eye. The transparent goo is the vitreous humor. Image credits: Mark Fickett / University of Pennsylvania. It looks like a transparent gel and has the consistency to fit its look. To give you a rough idea of how hyaluronic acid looks, feels, and behaves, Endre Balazs — a doctor and professor of medicine who spent seven decades of his life studying the compound — tried to patent hyaluronic acid as a bakery substitute for egg white in 1942. He was granted the patent and went on to become a leading research figure on the matter of hyaluronic acid and its uses. One of the main jobs hyaluronic acid has to do is to act as the mortar between our cells. It keeps us together in the correct shape. In biology, that mortar is called the extracellular matrix (ECM) and it is a gelatinous fluid which surrounds almost every one of our living cells. The ECM is made up of fibrous elements (generally elastin and collagen) affixed in a gelatinous substance — hyaluronic acid. It’s this acid’s job of keeping the ECM stretchy and hydrated, and it also ferries nutrients and waste between these structures and the rest of the body. The skin, bones, tendons, ligaments, and cartilage are among the tissues richest in ECM. The skin takes the hyaluronic cake, as it contains roughly 50% of our body’s total of the compound. Skin needs a lot of it because it has to stretch without breaking, as well as bend and then bounce back. The acid doesn’t do that itself — that’s collagen’s job — but it does keep those collagen fibers hydrated and in tip-top shape. If you want to see how hyaluronic affects the skin, just wait 20, maybe 30 years: our skin loses some of its ability to produce the acid as we age. Bereft of its hyaluronic acid, our skin loses the ability to hold water and, thus, to properly hydrate itself and its collagen. On the one hand (and every other bit covered by skin), this makes it drier and less flexible. The acid, which basically works to store water in a gooey state, also acts as a filler agent, keeping the skin free of wrinkles. So, on the other hand, aging also makes our skin wrinkly. Hyaluronic acid saw its first recorded medical use in 1943, during the height of the Second World War. Nickolay Gamaleya used it to create complex bandages for the treatment of frostbitten soldiers at the Soviet field hospital nr. 1321, according to Hyaluronic Acid: Production, Properties, Application in Biology and Medicine. Gamaleya christened the hyaluronic acid in those bandages, the book notes, as the “factor of regeneration”. The compound was so effective that it was later approved by the USSR’s Ministry of Health under the name ‘Regenerator’ — only in Russian, one would assume. A number of somewhat exotic uses for hyaluronan followed: as a prosthesis for the treatment of retinal detachment, to prevent post-operatory tissue soldering, to heal the aching joints of racehorses suffering from arthritis, and even to help with implanted ocular lenses. Today, people take hyaluronic acid for various joint disorders, such as osteoarthritis. The FDA has also approved its use during certain eye surgeries such as cataract removal, corneal transplantation, and repair of a detached retina. It is injected into the eye during such procedures to help replace fluids such as the vitreous humor. It’s also mixed into some skin-applicable products intended to promote healing of wounds, burns, or skin ulcers. Note, however, that there is only limited clinical evidence for its effectiveness in this role. Plastic surgeons and their patients are also big fans of hyaluronic acid. It’s often used as a filler — just like its natural role — in plastic surgery, in procedures to make lips fuller or to reduce wrinkles, for example. 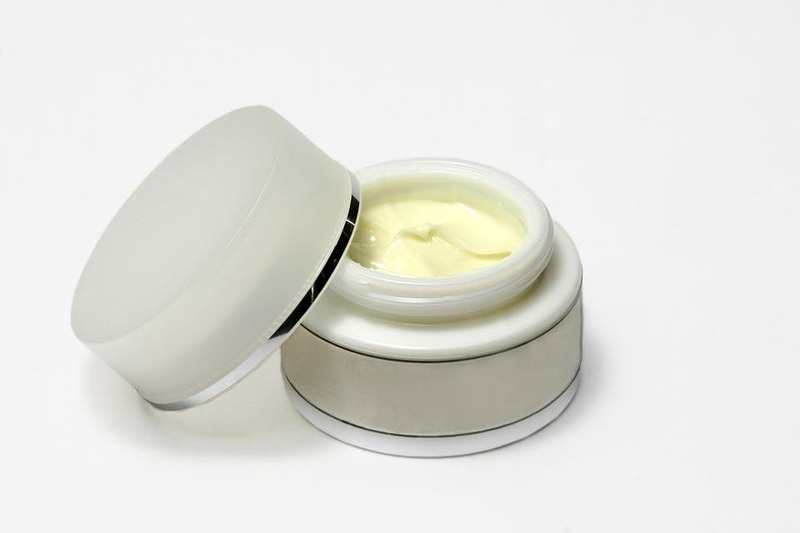 It also sees a lot of use as a moisturizer in various creams. Some people may be eager to sell hyaluronic acid to you as the be all end all ‘fountain of youth’. While it does seem to have a moisturizing effect — which definitely helps your skin shine — there is no evidence to support the view that this compound actually prevents or undoes changes associated with aging. Whether you take it by mouth or apply it on your skin, its effects on wrinkles seem to be only skin deep.